For starters (no pun intended), Istanbul is rediculously huge and has countless restaurants – the high-class and the no-fuss local intimate diners…and everything in between. There is something for all budgets and preferences. Turkish food is delicious, but the restaurant scene is a jungle and knowing where the really good ones are is not always as easy. We had some good help from our local contacts living in Istanbul with tips on the best hotspots in the city. Food is generally inexpensive in Istanbul, but alcohol is quite pricy. Drinks are often more expensive than the meals. People normally eat late in Istanbul, so make reservations for around 21-ish. Overall we were pretty happy with most of the places we dined at. So, If you want to raise the bar in terms of quality and service, here are our favorites. Arnavutköy balıkcısı , located in the neighbourhood Arnavutkôy serves traditional seafood and this restaurant is hands down, simply amazing. The food is very good, the winelist is good as well. The restaurant is located in the nicer area of Istanbul, you can also see this on the clientele. The service is top notch. On warm days you can sit outside and enjoy a beautiful view of the Bosphoros. There are mostly locals here and we simply loved this restaurant and can’t wait to visit again. If the weather allows, ask for seating outside when making reservations. Ulus 29 , located at the Ulus park hilltops which is considered one of the poshest areas in Istanbul and of course you can see this on the Ulus29 clientele. So it’s a good idea to make an effort in attire when visiting. What is great about this uber trendy place is that it’s at the Ulus park hilltops, making it the perfect viewpoint for a magnificent view of the Bosphorus. Absolutly amazing. The food is really good, but not the best we have had on our travels. The service is good, and they have a sommelier or wine expert who can help find the perfect wine for your meal. After dinner enjoy drinks with a view at the bar/lounge. Reservation is a must. Book well in advance. Mikla Restaurant, located in the New town (Beyoglu) and on a roof top. This Turkish-Scandinavian restaurant is one of the hotspots in Istanbul. Popular amongst locals and foreigners alike. The food is gourmet, so the portions are not that big, but they mix different tastes, making the meals an adventure. There is also a great view over the New Town. Reservations are a must, and book in advance as it is difficult to get table. TIP! When booking (in warmer days) make sure you call them and request spesifically for table on the terrace, it’s much cozier on the terrace. 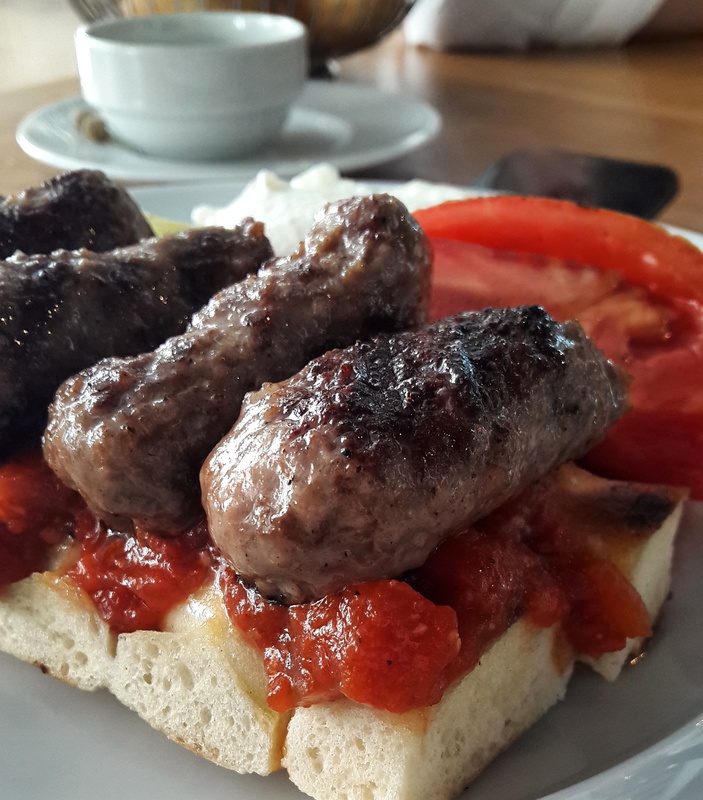 Sunset grill and bar, also located by the Ulus park, not far from Ulus 29. It’s the similar clientele. Sunset grill and bar is known for its steaks, so worth trying. The service is good and also here you get a magnificent view of the Bosphorus and they have a champagne bar where you can chill out after the meal. Again alcohol is damn expensive, which is fine by us, as we’re not heavy drinkers anyways…but still. Reservation is a must. Book well in advance. Leb-i-Derya, located in Beyoglu on the side street of the Istiklal avenue. This restaurant is a hidden gem, we would have never found this place without a local person tipping us about it. We are really happy we discovered this great local restaurant, which is on a top floor with a breathtaking view of the New Town. The clientele is mostly locals, and a mix of well dressed and laid back,but generally nice attire. Both food and service is good. Reservations for evening dining time is a good idea. 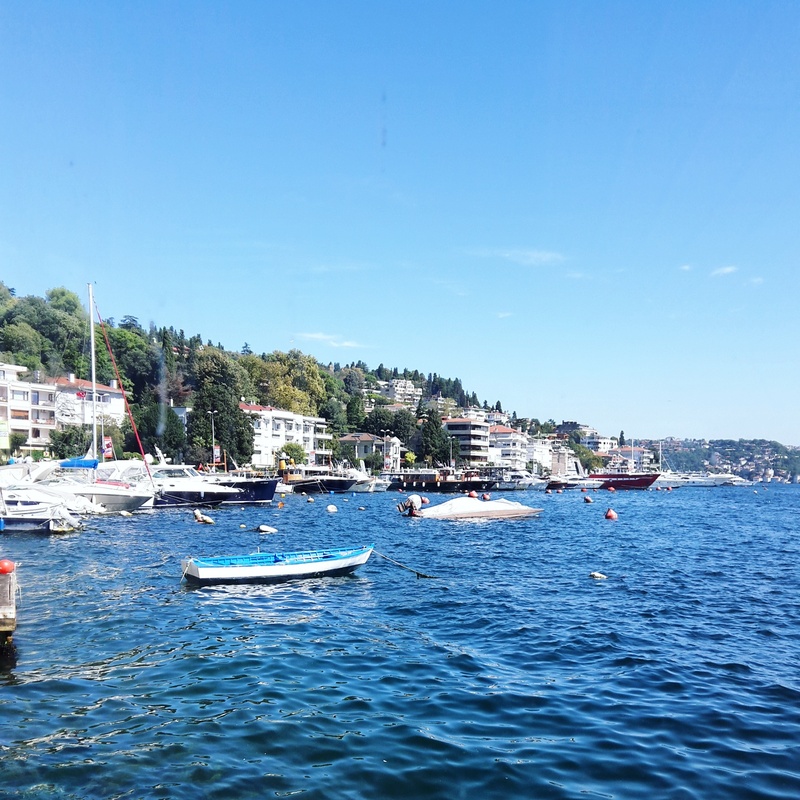 Chilai, located in Bebek, a local hotspot litterally at the Bosphorus. The food is really good. prices are relatively fair. Try the nachos and Seabass. The clientele is a mix. We were there during the daytime, so not sure how the setting and mood is in the evenings. There is also a small selection of art exibitions on the second floor of the restaurant. I absolutely love Leb-i-Derya, been visiting Istanbul for over 20 years and still find it one of the most exciting and interesting cities to visit. I love finding new restaurant and re visiting old ones. I stay on both the European and Asian side, having family in both so get a great variety in dishes and scenery. We have fallen in love with Istanbul, so it will remain on our bucket list. Next time, the Asian side. Can’t wait!